It’s amazing how quickly technology moves on. In 1984, it would have taken a whole team of movie special effects wizards to melt the face of sadistic Gestapo agent Major Arnold Ernst Toht in Raiders Of The Lost Ark. Now you can celebrate one of the greatest deaths in film history using a wax replica candle, decked out in Toht’s black leather jacket, fedora, spectacles and gaping mouth. No need to seek out the Ark of the Covenant and release its supernatural powers – although we do miss that blood-curdling screech. 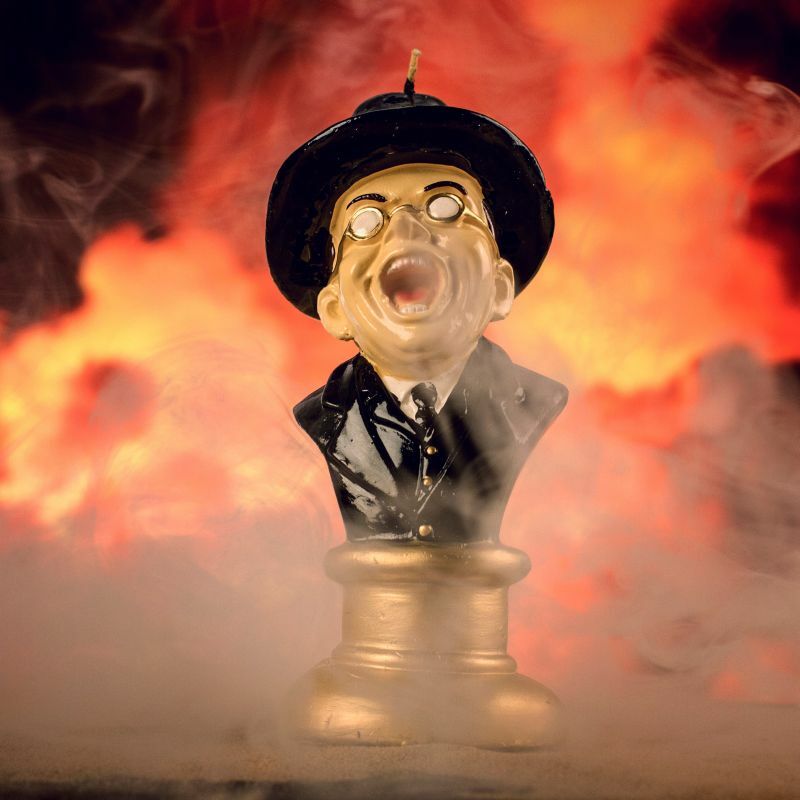 The Melting Toht candle costs £19.99 from Firebox.com.